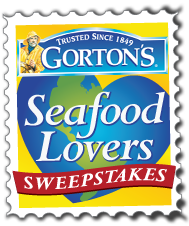 Gorton's Seafood is having another awesome sweepstakes, the Seafood Lovers Sweepstakes. This time the prize is even better! You get the chance to win a dream trip for two. You can win 1 of 5 great destinations (valued at $5,000) . The destination that will win is selected by daily votes for the location each time you enter. The five destinations are the Greek Isles, Key West, Las Vegas, Italy, Caribbean, or the home of Gorton's Gloucester. 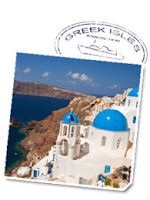 I will be voting for the Greek Isles. The wonderful thing about this sweepstakes is you can enter daily! This greatly increases your chances of winning!! You can enter the Seafood Lovers Sweeps on their Facebook Page. Click on the tab that says Contests. 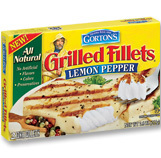 Last night we tried the Lemon Pepper Grilled Fillets for dinner. I served them with jasmine rice and green beans, it was so tasty! I know I will be buying them again soon. I love that Gorton's is so easy to make. I am not the kinda mom who likes to cook so these make it so simple and healthy. 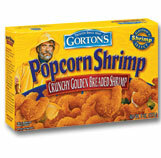 My husband wants to try the Popcorn Shrimp next time we eat Gorton's. To celebrate this great sweepstakes Gorton's Seafood is giving 5 of my lucky readers 2 free product coupons for their delicious seafood. *Leave your email address at least one of your comments so I can contact the winner. - Enter any of the current other giveaways leave a comment on which giveaway you entered. +2 for every giveaway you enter. *Limited to US residents; 18 years old and above. Giveaway starts February, 17 2011 and ends on March 10, 2011 at midnight PST. Winner will be emailed and has 48 hours to respond before another winner is selected. I was not paid for this giveaway or post. I was sent free product coupons for Gorton's Seafood for my review. I'd like to try the fish taco recipe. I'd like to try the coconut shrimp recipe. I get their news letter! Subscriber to Gorton's fun e-newsletter! #1, Posted on Gorton's Facebook wall you sent me. #2, Posted on Gorton's Facebook wall you sent me. I want to make the fish tacos! The Baked Tilapia recipe looks good!